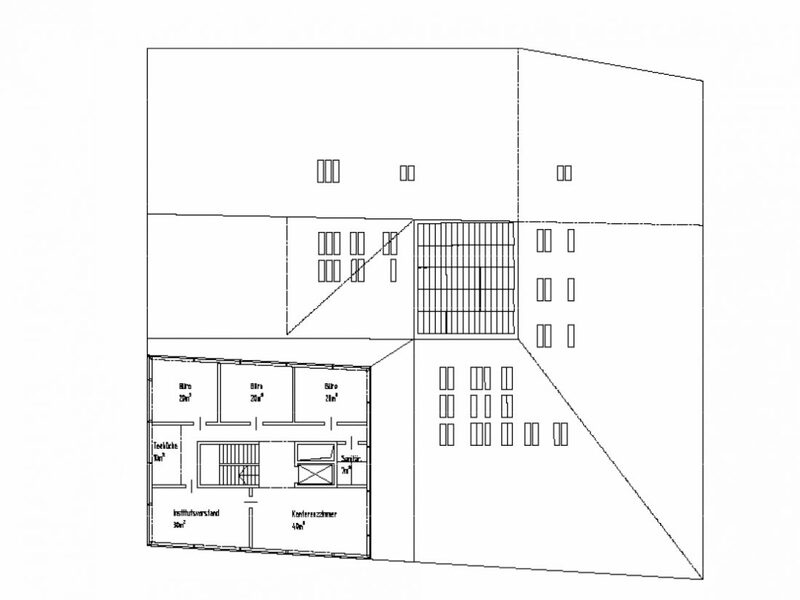 The picture of a media centre as an instrument is the guiding idea of this design. 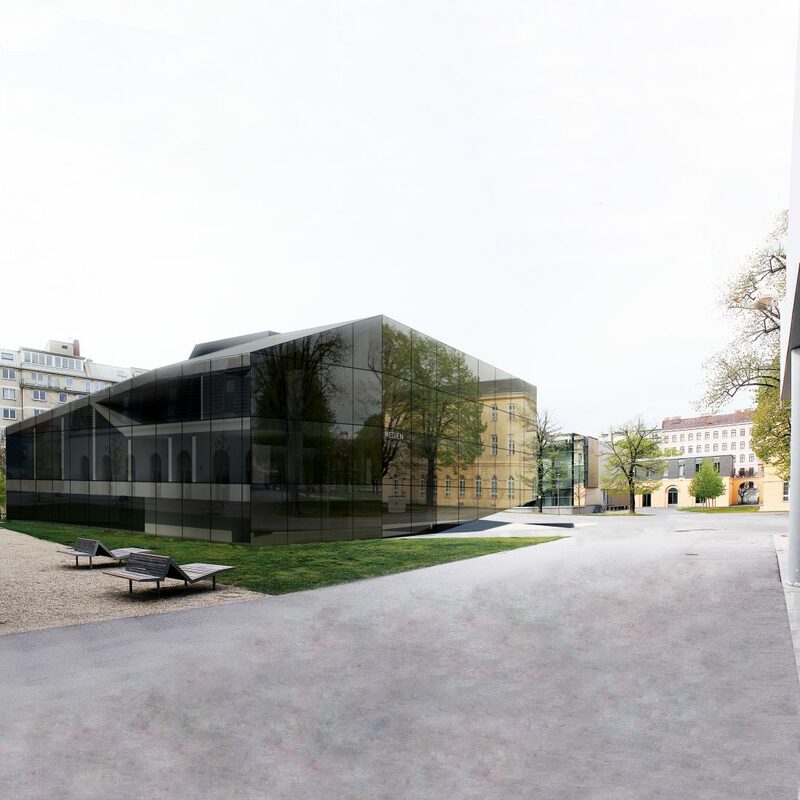 The building is set like a black stone in the lawn of the University of Music and performing Arts in Vienna. 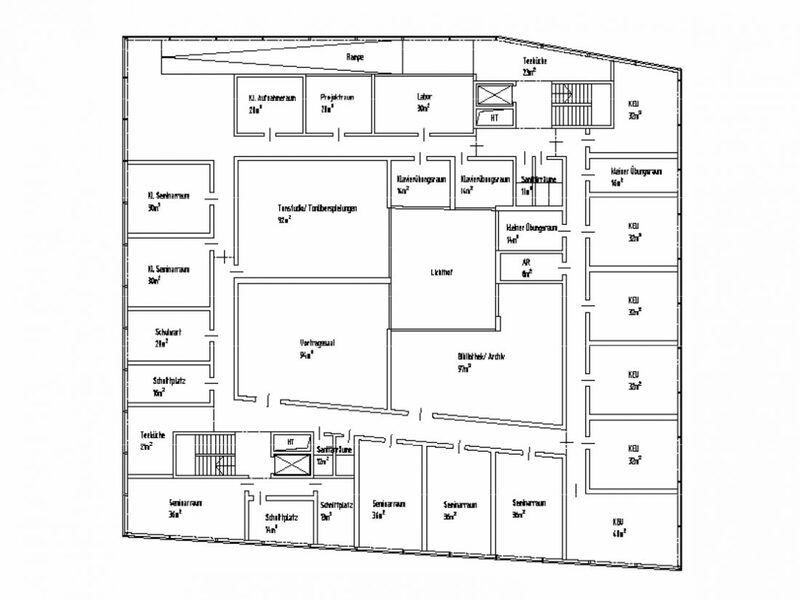 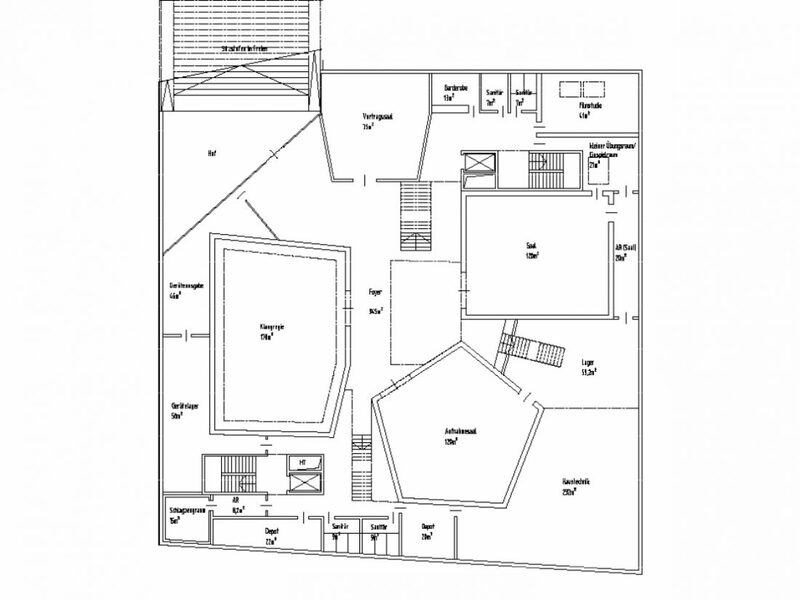 A state of the art pentagonal recording hall is placed in the lower level. 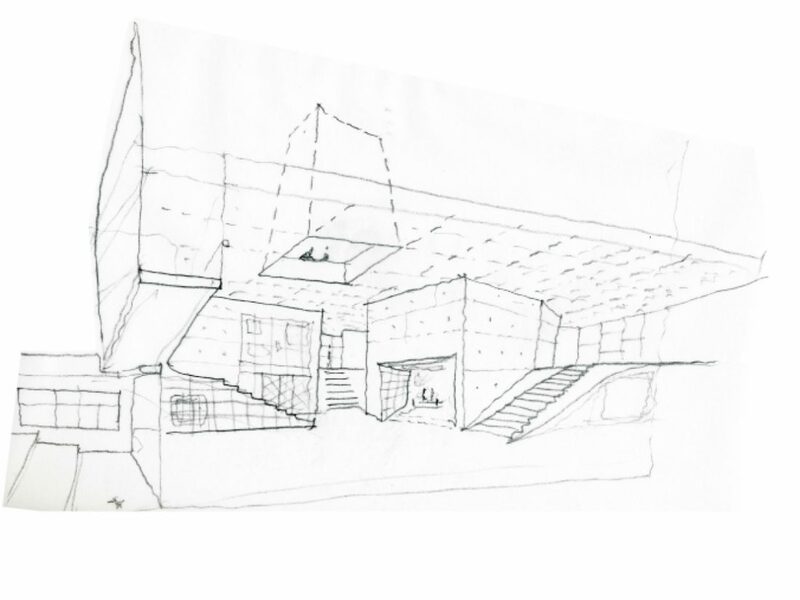 The upper level is a forum designed for discussion, a library imparting knowledge, a platform for education and practice. 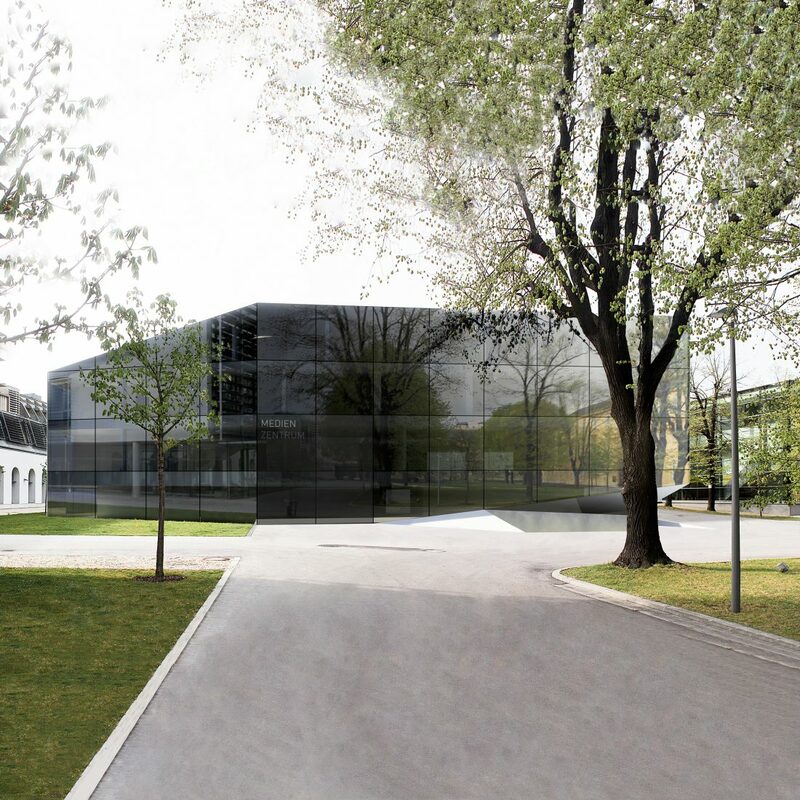 To display music, to experience space, to present results the university needs to have a meeting point, (behind tinted glass).